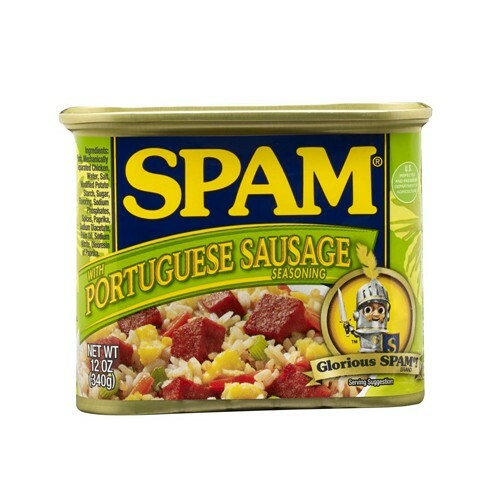 SPAM® with Portuguese Sausage Seasoning, 12 ounce can. *Additional shipping and handling charges will be added on any flavor. **Unable to ship this product Internationally.